Giving life to your thinning hair – HAIRDEPOT - Hair & Scalp Care Products, Prevent Hair Loss, Shampoo, Conditioner, Treatment, Styling, Appliances and more! Need help giving life to your thinning hair? Midori Scalp Balance Booster is an intensive leave on booster for problematical areas such as the hairline or crown. This booster helps improve the appearance of thinning hair by delivering advanced anti-greying nourishment to the thick scalp skin characteristics of low-density hairlines and also helps promote a healthy scalp environment. 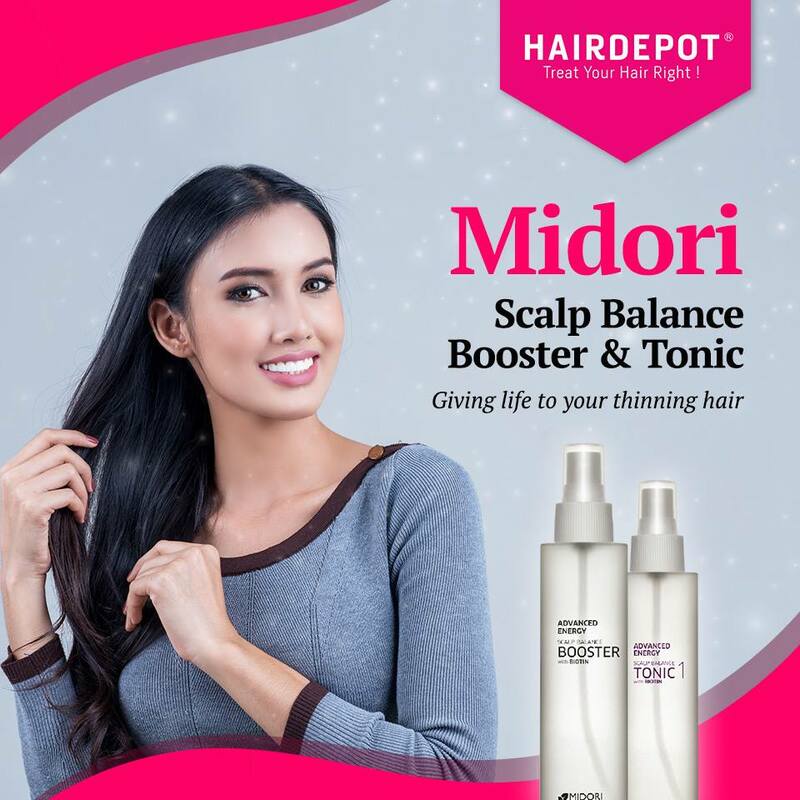 Midori Scalp Balance Tonic, however, is a volumizing leave-on tonic treatment for the scalp that contains antioxidants and botanicals ingredients that help strengthens and refreshes the scalp to improve thinning hair. This lightweight, fast-absorbing treatment best applied daily to energize the scalp, prevent greying hairs and promote hair density. Get these amazing products now at a HAIRDEPOT outlet near you.